REQUIRES FREIGHT SHIPPING. PLEASE CALL (419) 501-2662 FOR A QUOTE. 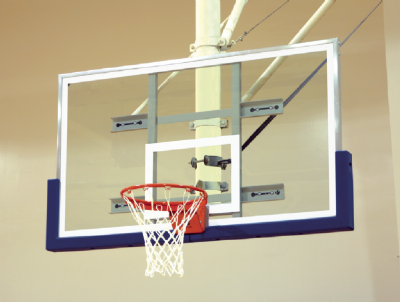 When it’s time to upgrade your basketball court, Bison’s Official Gym Upgrade Packages will save you money and guarantee single source compatibility…There is a package to fit your existing wall or ceiling mount structure regardless of manufacturer • All components are designed and built by Bison for guaranteed compatibility • Premium upgrade package includes BA42XLC unconditional lifetime warranty conversion backboard, breakaway goal and BA68U backboard padding in your choice of colors • All packages contain one of each of the listed Bison basketball components • Order two packages to upgrade both ends of the court.